Once the summer home of my mother-in-law, Rose Popiel Kieniewicz, Kurozwęki is still lovingly managed by our family. 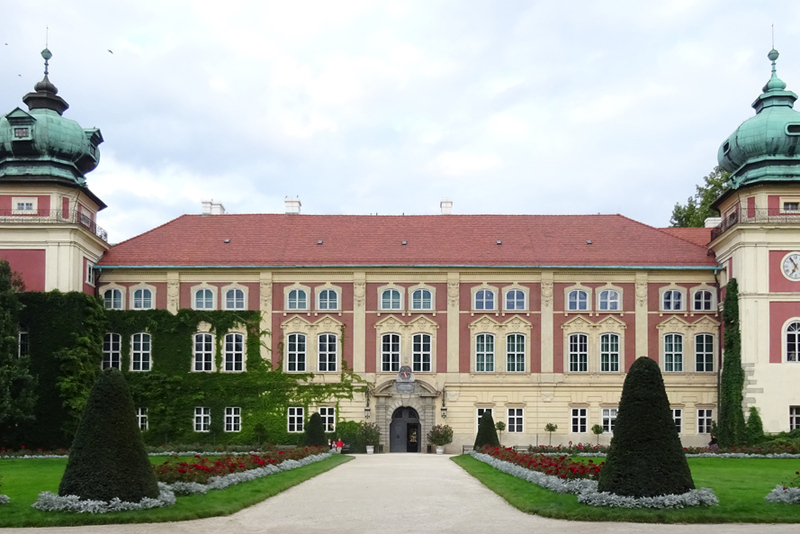 This baroque style palace dates back to the 13th century. Over 750 years of personal and architectural history reside in this amazing building. The palatial sized rooms, high ceilings, palazzo tiled floors and French windows opening onto their private terrace offer the visitor an escape into another century. During the high season, Kurozwęki is teaming with activity. The park is home to several herds of buffalo and other exotic animals. An especially nice treat at the end of a day of site seeing is arriving at the Palace for an alfresco dinner. Nothing is more relaxing. Szydłów is a 12th Century village within twenty minutes of Sichow. 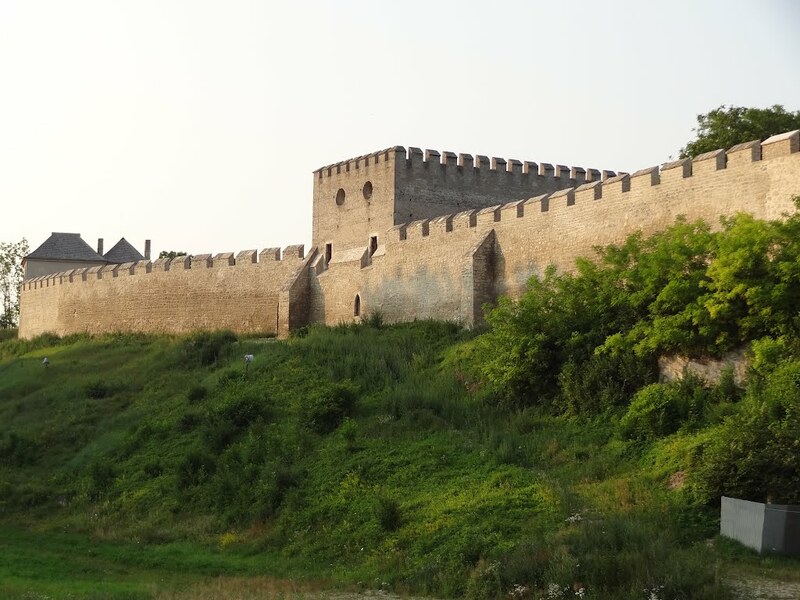 According to Poland’s official travel website, Szydłów is considered to be a Polish Carcassone because of its perfectly preserved medieval urban arrangement and town walls. In addition, there is a well preserved 16th century synagogue resting alongside churches dating back to the 14th century and the ruins of a castle from the same period. 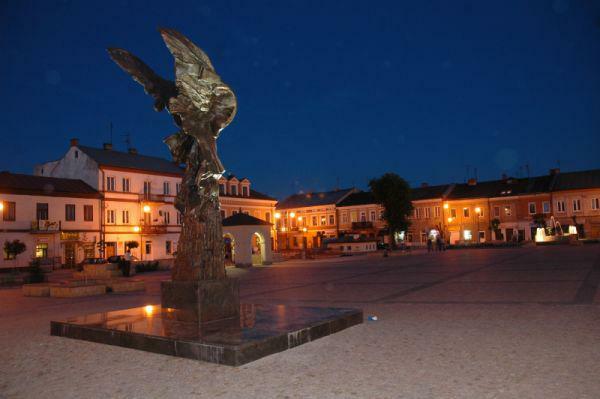 For those interested in a private tour of Szydłów, the Sichów management team will arrange for a personal guide. See our Jewish pages for more information. Chmielnik is first mentioned in 1241 during the Mongol invasion of Poland. See link for a more concise historic account. In the 16th and 17th centuries, Chmielnik was home to Polish Protestants (Calvinists and the Polish Brethren). Then, during the second half of the 17th century, Sephardi Jews fleeing Spain settled here until they were annihilated during World War Two. See our Jewish Pages for more information. 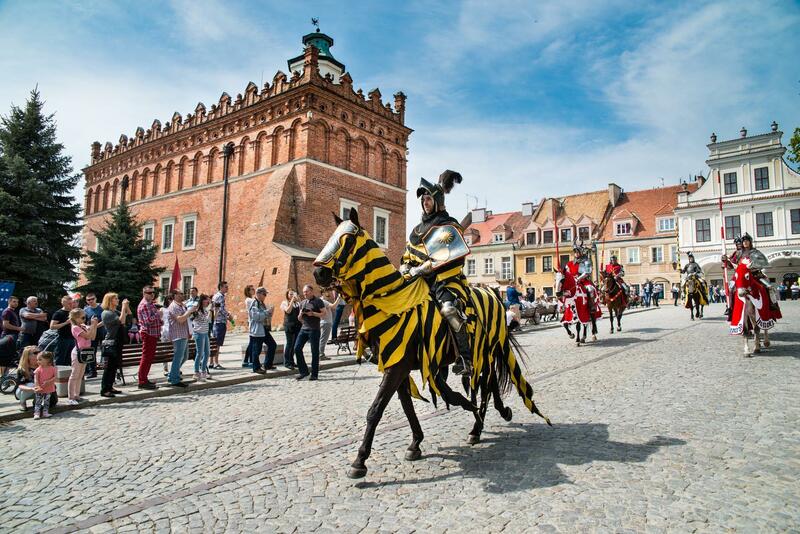 (Private tours are also available and can be organised by Sichów management). This heritage park is an outdoor experience not to be missed. Among the natural settlement units include schools, churches, taverns and shops; a look at what life was like during the 18th and 19th centuries. Perfect stop for lunch and a visit to the park and its museum. 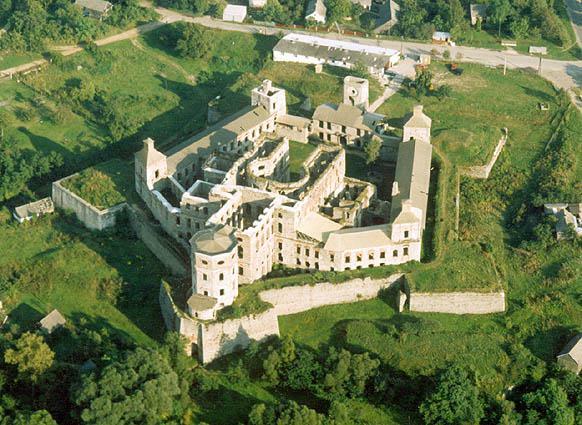 A history that begins in 1349, Łancut Castle developed dramatically with each successive owner. Additional buildings, parklands, art and sculpture have been remarkably preserved in this complex of buildings. Of particular interest is the Music Festival hosted here each May by the Filharmonia Podkarpacka. 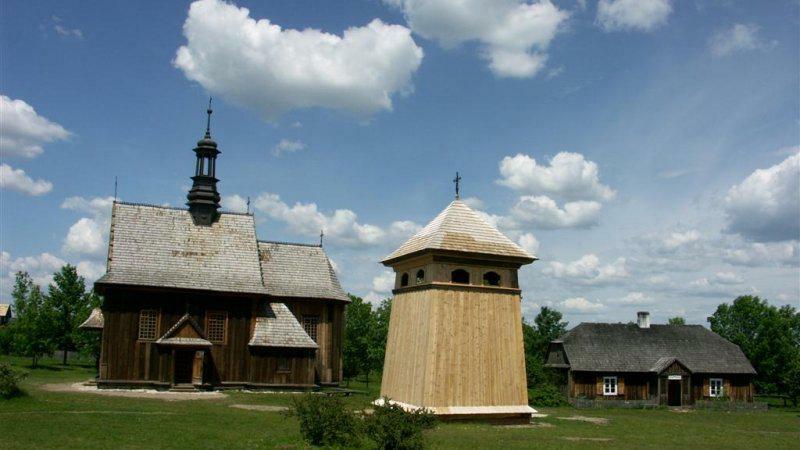 Set in the Swiętokrzyskie Mountains, historians can’t say when the monastery was actually founded but the monastery and the Romaneque church can be dated between the years 1102 – 1138. The Monastery is accessible by car during the hours of daily Mass but for the intrepid, the climb to the summit offers a pilgrim’s adventure, passing the Stations of the Cross along the way. It is called the most picturesque village in all of Poland. 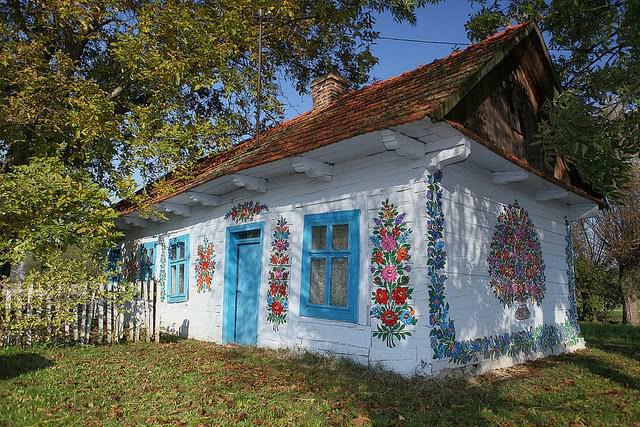 More than a century ago, women started painting their houses in floral designs to cover up certain faults. The most popular artist among them was Felicja Curylowa (1904 – 1974) whose house has been converted into the town museum. The whole village is painted and tourists are encouraged to walk the streets admiring this unique tradition that brings such joy to both its residents and visitors. When you’re standing in Sandomierz, you’re standing among the bones of Stone Age inhabitants. Archaeological discoveries would indicate its beginnings during this period. More recently, the city evolved during the Middle Ages where it was the perfect location for a bustling trade route, resting at the junction of the Vistula and Sans rivers. Thoughtfully rebuilt after numerous invasions, fires and war, Sandomierz maintains its charm thanks to the absence of major industrial development. The unspoiled landscape surrounding the area is just one of its striking features. 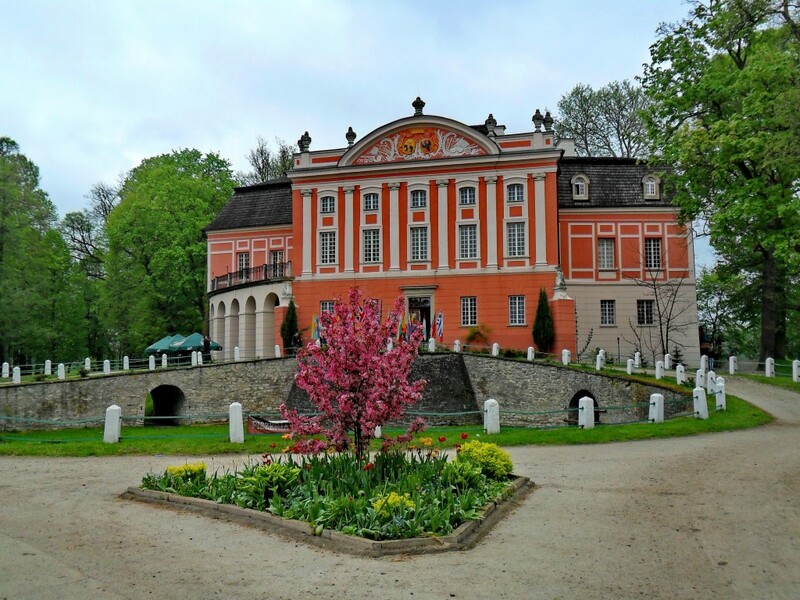 The house of Jan Dlugosz (diplomat and historian – 1476) houses the collections of the Diocesan Museum which include the famous sculpture of The Virgin Mary on the Throne. A walk through the town square, the gorgeous cathedral and the synagogue which was renovated in the 1970s now home to the State Archives, are a few of the major attractions in Sandomierz and less than an hour’s drive from Sichów.